Happy February and Valentine's Day, everyone. Whether you regard this week as the romantic pinnacle of the year, or (as one of our facebook friends remarked) a pagan festival hijacked by commercialism (! ), we hope you enjoy it, and may this, our first newsletter of 2013, make your week even more special. For whether you're attached or single, we all have people we love in our lives, and the 14th is as good a time as any to tell them. I (Robyn) am celebrating, because as some of you know, in July last year my husband was diagnosed with a blood cancer, lymphoma. To say that the past seven months have been traumatic for our family is an understatement – but a few days ago we received the fabulous news that his treatment, combined with a great diet of fresh fruit and veggies from our own garden, has been successful. So, it's a big celebration for us on Valentine's Day, for sure! The other thing we are celebrating is the awesome community spirit that's been in evidence around Australia over our long, hot summer. Whilst it's been fabulous weather in many parts of the country, once again some regions have been hit by bushfires or by floods – and the responses by local communities has been outstanding. Three cheers for the firies, the fundraisers, the social media champions and to all concerned in saving lives and providing assistance. In support of those impacted by the Tasmanian bushfires, together with Tourism Tasmania we are inviting you to visit Tasmania. Yes, friends, it's time to book that ticket, and get on the plane or ferry and do what you may have dreamed of doing but have perhaps put off.... visit the Island of Surprises! For what's been going on in Tassie for the past few years – especially for wine, food, art and nature lovers – is nothing short of astounding. Be surprised, and delighted! For wine and food lovers, Tasmania is nothing short of paradise... but hey, I'll let you read on and savour it for yourself. A fabulous taste of Tasmania is coming your way below, with articles by Vue de Monde's Rocco Esposito, sparkling wine expert Curly Haslam-Coates, and more. 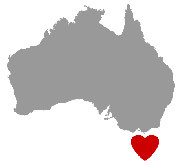 Enjoy, and remember, you can do the most important thing to assist bushfire recovery – visit Tasmania, soon. Wine and drinks – Southern gems, vodka, and lemons and strawberries for summer! We had a great response to Vue de Monde Wine Director Rocco Esposito's article on Spanish wines from the Ribeira Sacra region late last year, so he's back by popular demand! We also contacted one of the island state's experts on cool climate sparkling wines, Curly Haslam-Coates, who is now with Josef Chromy Wines, just near Launceston in the state's north. Curly makes discovering Tasmania’s sparkling wine pleasurable and fun with a disarming combination of Dr Who references and a wealth of knowledge from almost two decades of experience in the wine industry. Highly knowledgeable on sparkling wine across the globe, Curly has chosen Tasmania as her new home. The secret is finally out: wine travel is the fastest growing area of tourism in Australia at the moment – led by wine and food lovers like you! Margaret River and the Hunter Valley are booming, and below we're sharing a few secrets for you to explore the latest must-visit region: Tasmania. You could easily spend a week or three on Tassie's East Coast, taking in the Tasman Peninsula, the area around Swansea, Coles Bay with the iconic Wineglass Bay, then Scamander and St Helens and north to the Bay of Fires and Eddystone Point. It's the warmest and driest region of the state, and even in winter the weather can be beautiful. But right now, and in March through to May, it's stunning! What's on in wine and food? Continuing on with our Tasmanian theme, the big event coming up is the biennial 10 Days on the Island, where artists (visual, musical, performing) from islands around the world showcase their talents, this year in 10 consecutive towns around the island state. Meanwhile, excitement is growing in Victoria with the 17 day mega Melbourne Food & Wine Festival just a couple of weeks away (1-17 March). Over the border, cellar doors are unpacking in Adelaide in readiness for their own wine celebrations. Wow, what a great range of prizes! Good luck and don't forget to keep an eye on our winners' page to see if your name appears. We hope by now you're tempted to come and try the wonderful wine and food of Tasmania. But maybe you need an extra incentive to make that booking? We asked some of the state's best and most proactive accommodation providers to come up with some special offers to get you across the line, and in doing so, to help to support others in the Tasmanian tourism industry who are recovering from the fires. Save yourself hundreds of $$ and feel virtuous at the same time! NORTH WEST: the state's food bowl for fresh produce with its beautiful rolling hills of brown soil and green lush growth, falling into the coast line. Show you care and get down there! Sadly one vineyard, Yaxley Estate, was almost completely destroyed, but all others are open for business, and as they say in the movies, the show must go on – in this case the nearby Bream Creek Show, on Sat 16th March. It's by far the best country show I've ever attended, from Mareeba southwards, and worth hopping on a plane for just to head out there (1/2 an hour east from Hobart airport), soak up the atmosphere and do your bit to support the locals. We'll be there! And don't you love the graphic above? It was designed by AnnyStudio.com for use for Tasmanian Bushfire Assistance. So get with the love and get on down to Tassie, or at the very least, make sure you have some Tasmanian wines in your glasses very soon. Meanwhile, we wish you all a very happy, healthy and prosperous Chinese New Year, as we celebrate the arrival of the Year of the Snake. New Year is always a festive time full of fun and of course eating, so have a great time, everyone. Gong xi fa chai! We're busy planning lots of new things on VisitVineyards.com now that my husband is recovered, so stay tuned. And for anyone going through a health (or any other) crisis, stay positive – it's the most important thing you can do. Have a great February and happy Valentine's Day from Robyn, Kerry, Andrew, Laura and the rest of the VisitVineyards.com and Winepros Archive team, and see you again on the 26th.